Showing results by author "Ryan Babineaux Ph.D"
By: Ryan Babineaux Ph.D., John Krumboltz Ph.D.
Ryan Babineaux and John Krumboltz have come to a compelling conclusion: happy and successful people tend to spend less time planning and more time acting. They get out into the world, try new things, and make mistakes, and in doing so, they benefit from unexpected experiences and opportunities. 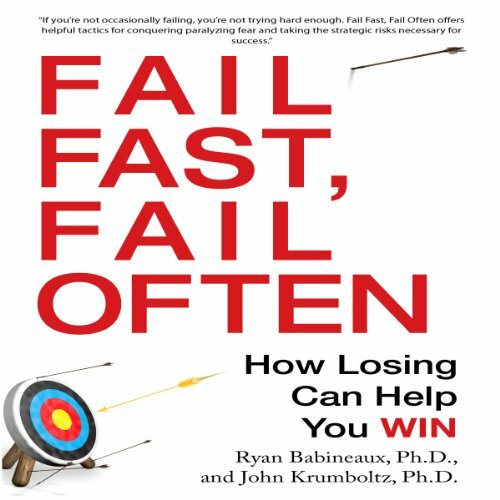 Drawing on the authors’ research in human development and innovation, Fail Fast, Fail Often shows readers how to allow their enthusiasm to guide them, to act boldly, and to leverage their strengths - even if they are terrified of failure.